The tennis Christmas has finally arrived as the world’s best male players get ready to show everyone why they made it to the season-ending prestigious Nitto Association of Tennis Professionals (ATP) Finals, which start today. When Novak Djokovic and Andy Murray played an epic final in Doha in the opening week of the season, it looked like the top two players of 2016 would again dominate this year. 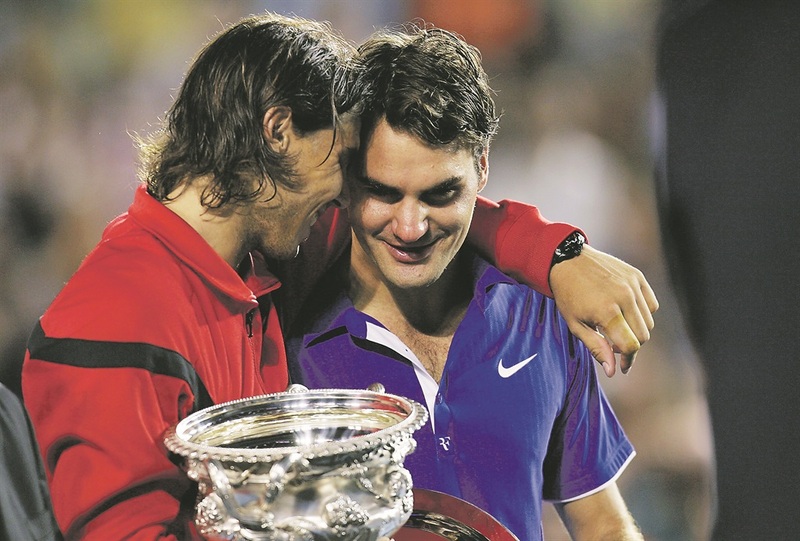 Instead, the season was more like a permanent “throwback Thursday” as Rafael Nadal and Roger Federer kept winning. Nadal and Federer have won a combined 13 titles, including all the Grand Slams. But could someone do the unthinkable and end the Fedal-dominated year by pipping them to the fifth-biggest title on the circuit? The Spaniard is yet to taste glory at these championships, but after returning to world No 1 this year, he will fancy his chances. He’s come close on a couple of occasions, losing to Federer in the final in 2010 and to Djokovic at the last hurdle in 2013. Federer has enjoyed great success at this event over the years. He is chasing a seventh title, although a win at the O2 Arena in London would be a first in six years – he won in 2003, 2004, 2006, 2007, 2010 and 2011. Both are strongly favoured to win the ATP event, with Federer the outright favourite and, in a field of new stars competing for the first time in London, it seems unlikely anyone can stop them. The draw was made on Wednesday and the eight players were grouped into two groups named after tennis legends. The Pete Sampras Group includes Nadal, who will start his challenge tomorrow night against Belgium’s No 7 David Goffin. In the same group, Bulgarian debutant and world No 6 Grigor Dimitrov will take on Austrian world No 4 Dominic Thiem. In the Boris Becker Group, Federer will take on world No 8 Jack Sock of the US today, and Alexander Zverev of Germany will face Croatian world No 5 Marin Cilic in the evening session. Nadal has the head-to-head upper hand as he has beaten Thiem five times in seven meetings. He has also walloped Dimitrov 10 times, losing once, and beat Goffin on the two they met. Federer is level with Zverev after losing twice in four games against him. He has an amazing 7-1 lead over Cilic and has beaten Sock in all their three games. Even if Nadal didn’t have the knee problems that saw him withdraw from the Paris Masters last week, it seems unlikely anyone can stop them. Meanwhile, South African tennis players Kevin Anderson and Raven Klaasen failed to qualify after a great season. Anderson’s former coach Neville Godwin was named coach of the year during the 2017 ATP World Tour Awards presented by Moët & Chandon held at the Nitto Finals on Thursday evening at the Tower of London. This week, Anderson parted ways with Godwin, who has mentored him for the past four years.